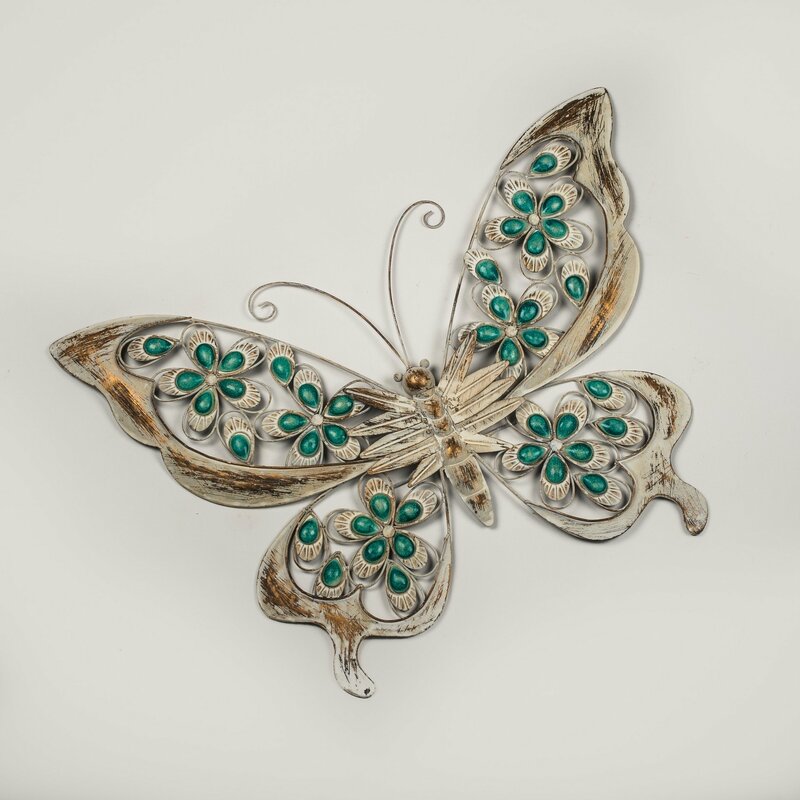 Fill your space with colour as blue as a clear sky with this lovely metal wall butterfly with stunning turquoise blue stones! A distressed white and gold finish on the body and frame gives the butterfly distinctive shabby chic appeal, and within the wings, turquoise blue tear-drop stones are shaped to create the look of flowers. Butterflies are symbolic of life's transitions, making this a great gift for a graduation, a promotion or an engagement.